Winner: Intel University Games Showcase! Beatstep Cowboys is the proud winner of 2nd place BEST VISUALS and 1st Place BEST GAMEPLAY at Intel University Games Showcase! 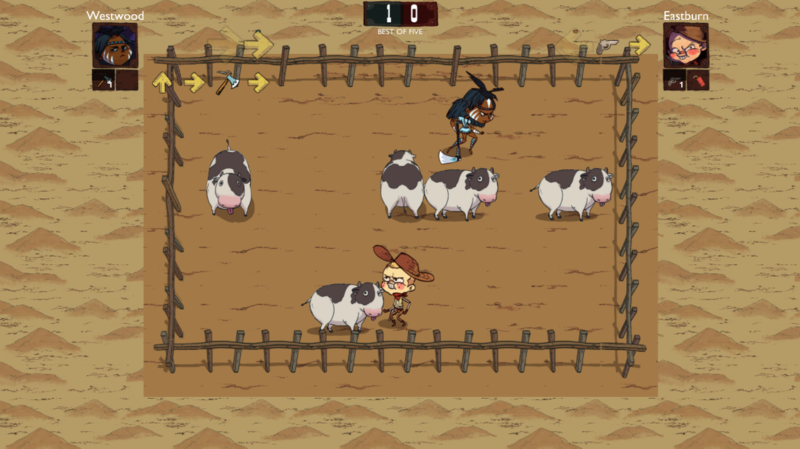 Beatstep Cowboys has been Greenlit on Steam! 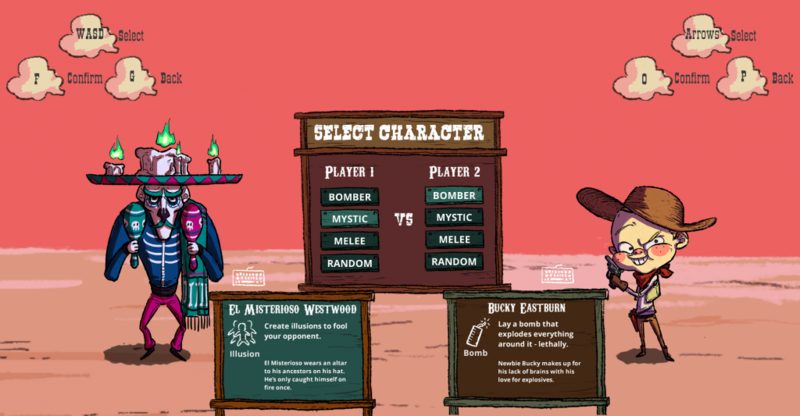 Get the free playable Prototype here! What are people saying about The Beat, The Step, and the Cowboys? Unique Twitch Channel vs. Channel Mode. Create your own Twitch Plays! 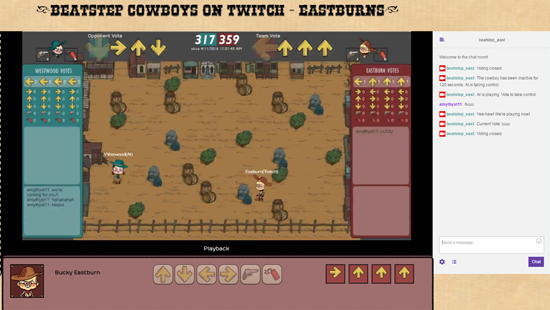 Beatstep Cowboys is a 2 player game that combines quick real-time strategy, and rhythm-based game play. The result is a competitive game that is easy enough for a little kid to pick up but also provides advanced players the opportunity to stretch the limits of their logical and predictive thinking. 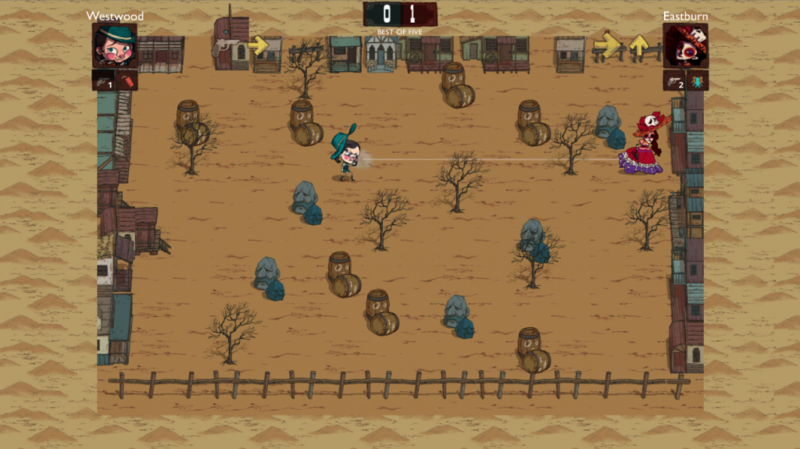 Beatstep Cowboys is based on a 2015 Game Jam prototype, which you can download now and play! Get The Beat, the Step and the Cowboys! What about the new version?